“Censorship” is a word a lot of people throw around haphazardly, without actually understanding what it really means. For instance, if you are the host of a television show and your broadcaster/boss decides it doesn’t want you on its payroll anymore, that’s not censorship. Censorship in its strictest sense requires a government hand, coercion with no other alternative. 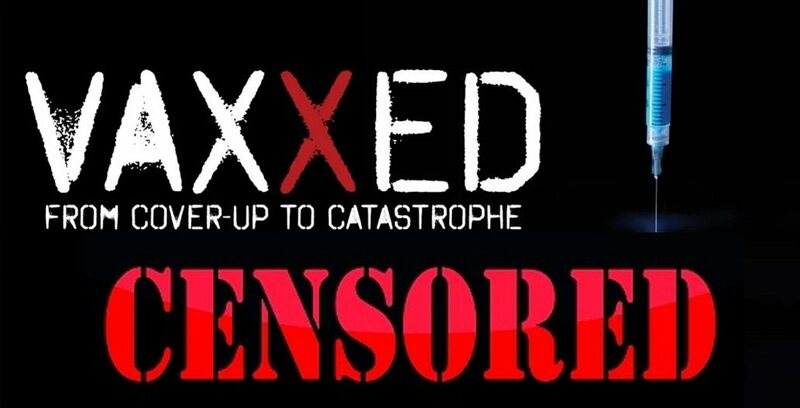 But there is clear evidence of crossing the bar for this higher standard for actual censorship in the wake of Robert DeNiro’s Tribeca Film Fest scrubbing the film “Vaxxed: From Cover-Up To Catastrophe” from the roster of flicks that were to be screened for a hoity-toity New York audience. And the film circuit around the country seems to be following on DeNiro’s coattails, with festival after festival pulling the film. And let’s be clear about this: it is not censorship for a private film festival to pull your film from its screening line-up. You have a freedom of speech, but so do they. You don’t have the right to dictate what they show. But when a powerful government official leans on someone at a festival in order to influence them into dropping your film, well, that is another thing altogether. And it is called censorship. That’s what has apparently occurred in Houston according to Hunter Todd, chairman and founding director of The WorldFest-Houston International Film & Video Festival. Todd claims that “high government officials” threatened him over the phone over the festival showing Vaxxed. According to the filmmakers, neither Mayor Turner nor Judge Emmet had had an opportunity to view the film. And thus endeth the lesson for today children: that is not only censorship, that is close-minded, ignorant censorship at its most heinous and wrong.